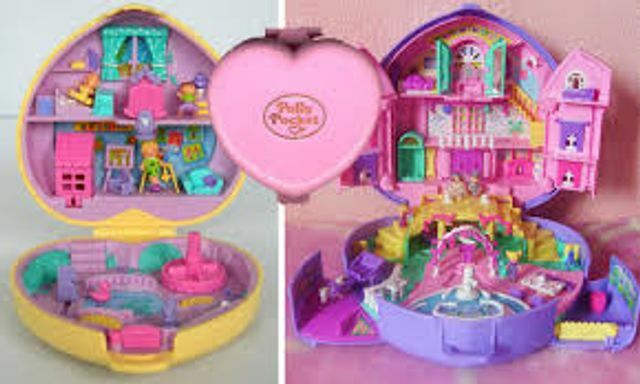 I couldn't resist adding some more photos of Polly Pockets! There were so many! I remember having one that was a shopping mall, and Polly was magnetic and you could push her around the mall using some crazy magnetic voodoo.